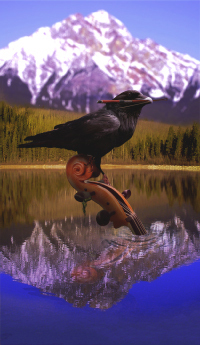 The Anchorage Symphony Orchestra is giving a free concert this Saturday, January 21, 2012 at 2:00 pm at the West High School Auditorium (1700 Hillcrest Drive, Anchorage). Doors open at 1:30 pm, and seating is first-come, first-served. No tickets are required. The concert will last about an hour. With funding support from the Atwood Foundation, this is ASO’s second annual free neighborhood concert. (Last year’s was at Bartlett High School in northeastern Anchorage.) Jennifer Cargile, ASO’s Director of Marketing and PR, said that they’re working with the Anchorage School District to rotate these concerts to different parts of the city to reach different neighborhoods. This year’s program consists mostly of audience favorites, including “Hoe-down” from Aaron Copland’s Rodeo, “William Tell Overture” by Rossini, Tchaikovsky’s “1812 Overture” and “Sleeping Beauty Waltz”, Verdi’s “Triumphal March” from Aida, “Nimrod” from Elgar’s Enigma Variations (more on this later), and music from Mission Impossible and Star Wars. These selections are great, accessible masterworks, perfect for introducing children or others to symphonic music — at an obviously fabulous price. I gather that’s the point, and I applaud. As a kid, much of my classical music knowledge came from free public symphony concerts. (That, and Bugs Bunny.) One of the virtues of a city is the ease of cultural cultivation and exchange. Bravo to the ASO for fostering this, and for bringing great symphonic music to diverse Anchorage audiences. Even better is the program’s inclusion of the Yup’ik section of ECHOES, composed by ASO’s own music director and conductor, Randall Craig Fleischer. ECHOES premiered in Anchorage (and later at the Smithsonian) in 2008. The section they’re performing Saturday (a section of this movement) blends traditional Yup’ik drumming, singing, and dancing with symphonic instrumentation. The piece even has an accompanying educational curriculum. By the way, many papers have been written with theories on the enigma behind Elgar’s Enigma Variations, but have you ever wondered why Elgar named his famous ninth variation “Nimrod”? Though clearly not the main enigma of the piece, this has long confused me. I thought a nimrod was an idiot or a dolt, which is an odd name for the lugubrious movement. But in researching the Variations, I’ve learned that Elgar named “Nimrod” for his friend Augustus Jaeger. Jaeger is also German for hunter, and Nimrod was a great hunter in the Old Testament. So how did the name of a great Biblical hunter also come to mean idiot? Many online sources blame Bugs Bunny, who apparently occasionally called the hapless hunter Elmer Fudd a “poor little Nimrod”, tongue-in-cheek. I guess Bugs Bunny is responsible for more than just inculcating kids with Rossini, Wagner, and Liszt.